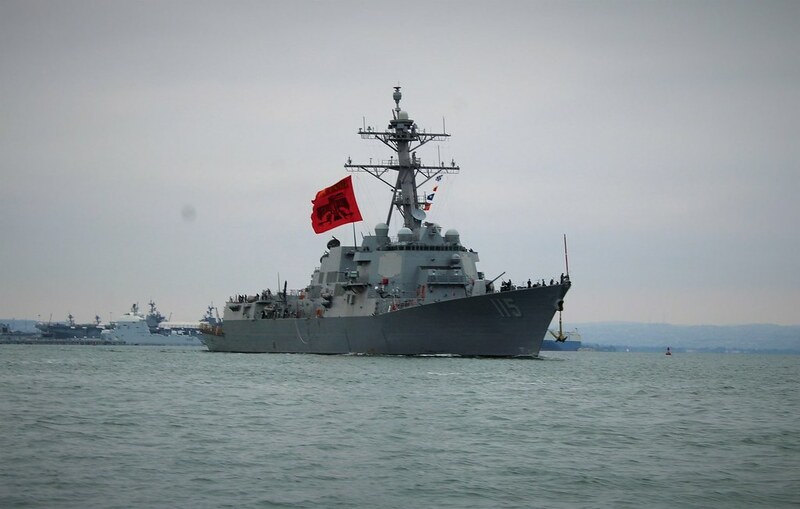 During the first underway following the one-year anniversary, USS RAFAEL PERALTA proudly flew a customized flag to honor Sgt. Rafael Peralta (IMG_Ship in Harbor). 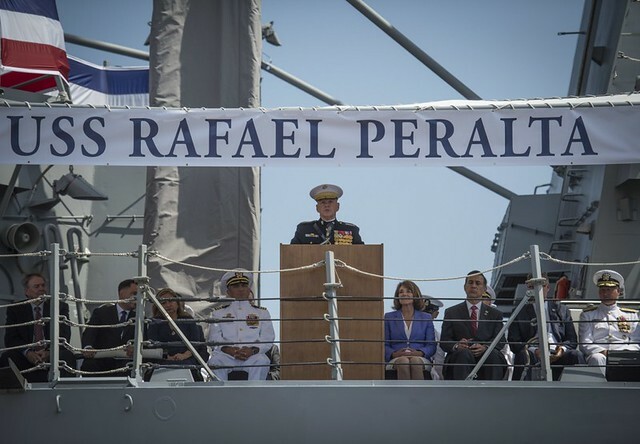 SAN DIEGO - Commandant of the Marine Corps, Gen. Robert B. Neller, delivers remarks during the commissioning ceremony for the Navy's newest Arleigh Burke-class guided-missile destroyer, USS Rafael Perlata (DDG 115). SAN DIEGO (June 30, 2017) Future USS Rafael Peralta (DDG 115) arrives at her homeport for the first time in anticipation of commissioning scheduled for July 29.